I have always, always loved bright, stat and photo filled reference books. As a kid I poured over this huge Your Fifty States Book and an old Hollywood guide of actors and actresses with glee. 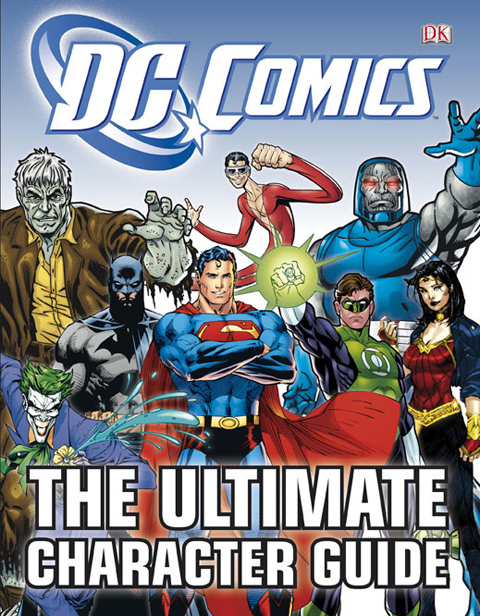 So I was thrilled when friend and author of The DC Comics The Ultimate Character Guide, Brandon Snider brought a signed copy of this bold, fun, informative book for little Van – because I will enjoy it as much as he will. Now, super hero comics have never been my brand of nerd, but I love reading through the character’s vital stats, background, nicknames and super powers. From Adam Strange (who defends the universe, but would rather hang out with his hot wife and baby daughter) to Zatanna a magician babe who not only fights forces of evil, but puts on elaborate magic shows in her spare time (in fishnets! ), from the disgusting janitor turned purple toxic donut eating Parasite, to the comely Sebastian Ballesteros who for a brief, totally hunky moment became the studly male version of Cheetah, from Brainiac, who travels the universe in an insane Iron Maiden-esque skull ship to Harley Quinn who left her life as a respected psychiatrist to commit crimes with the Joker – there’s a super hero or villain here for everybody. I can’t wait til Van is big enough to totally geek out with this. Thanks Brandon!! (pictured below in one of his more sophisticated looks). Read all the evidence here. “I owe it all to Donald Duck!” would be an awesome Oscar speech. 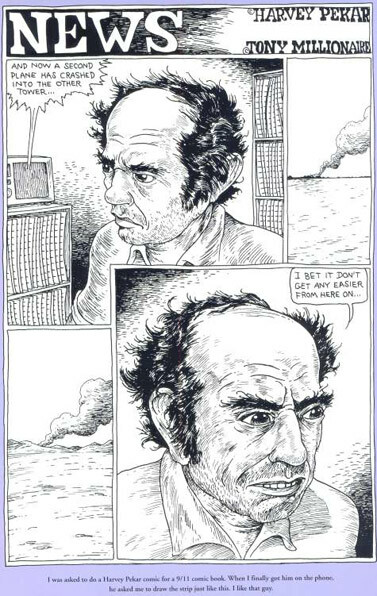 I know that George Steinbrenner passing seems to be the biggest thing to ever happen in the state of New York, but if I ran the news there’d be more mention of the passing of Harvey Pekar. 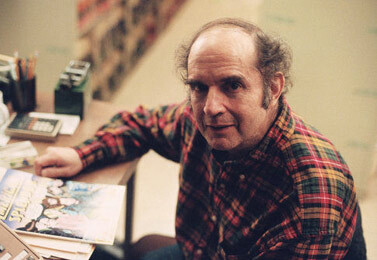 If you weren’t introduced to his self published, mostly autobiographical and highly influential comics, American Splendor, then perhaps you were aware of the unique artist through the movie of the same name. 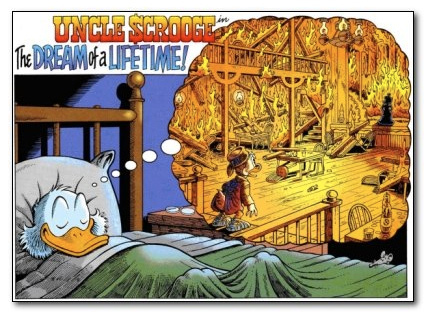 His work was about the working class life, the mundane (as R Crumb described it “so staggeringly mundane it verges on the exotic.”) and personal anxieties – a far cry from the beginning of comics with their super hero fantasies. He always used artists he admired to illustrate his stories including like minded Crumb and Chester Brown. He passed away July 12, the cause of death has not been released, but he had suffered with prostate cancer. Have a great time browsing through the extensive QB Stuff gallery of precode crime and horror comics of the 1950's. 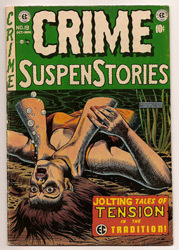 Before the Comic Books Code of America got involved, covers and content used to be much darker and gruesome; my favorites are the EC Comics Crime and SuspensStories.